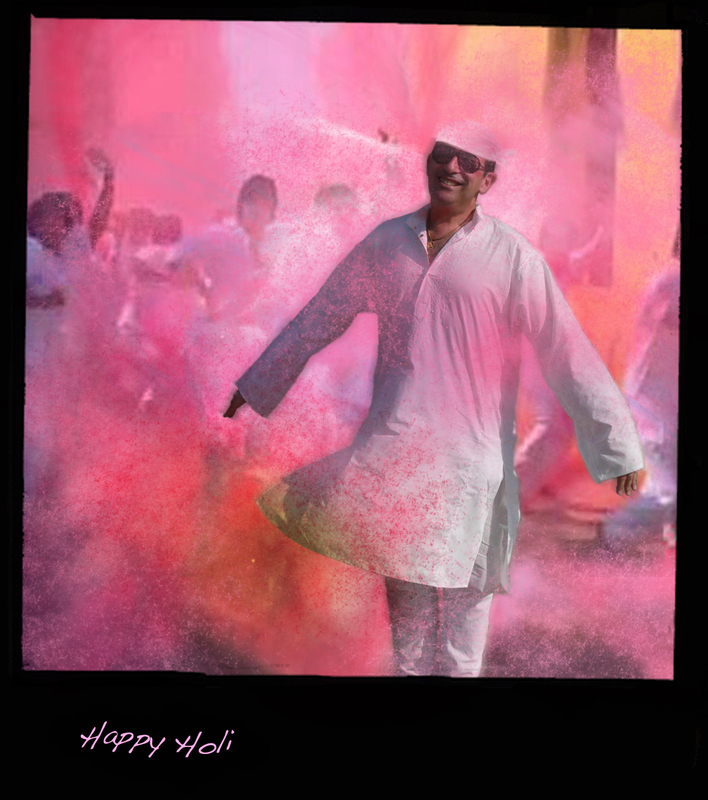 होली (Holi), the Festival of Colors, is a spring festival mostly celebrated by Hindus, Buddhists and Sikhs, it is observed in India and countries with large Indic diaspora populations. The main day is celebrated by people throwing coloured powder and coloured water at each other. In Varanasi (Benaras) and in the villages around everyone is playing with colours, it gathers people with different faiths, it is a happy moment where everyone dance and sing specific songs, it’s Holi (Holi hai). The playful throwing of natural coloured powders has a medicinal significance, the colours are traditionally made of Neem, Kumkum, Haldi, Bilva, and other medicinal herbs prescribed by Āyurvedic doctors at this time of the year when the weather changes and causes viral fever and cold. I didn’t upload any picture of me since a while even though I used to do it in order to celebrate each time you were 10 000 new more viewers on my photostream. Today you have been 301,546 Flickr viewers, 204,622 Worpress viewers and 79 033 Ipernity viewers to visit my photostreams. Once again I want to thank you all for your kind comments and mails. I really appreciate your support even if I can’t answer you as much as I would like because of the bad internet connection in Benaras, the many power cuts that we have to handle during summers and the lack of time due to all my activities. However I read everything you write which gives me an amazing energy to carry on my work in photography and which brings me strength to fulfill my commitment to those causes for Human Rights where I am involved. Thank you all for those gifts. 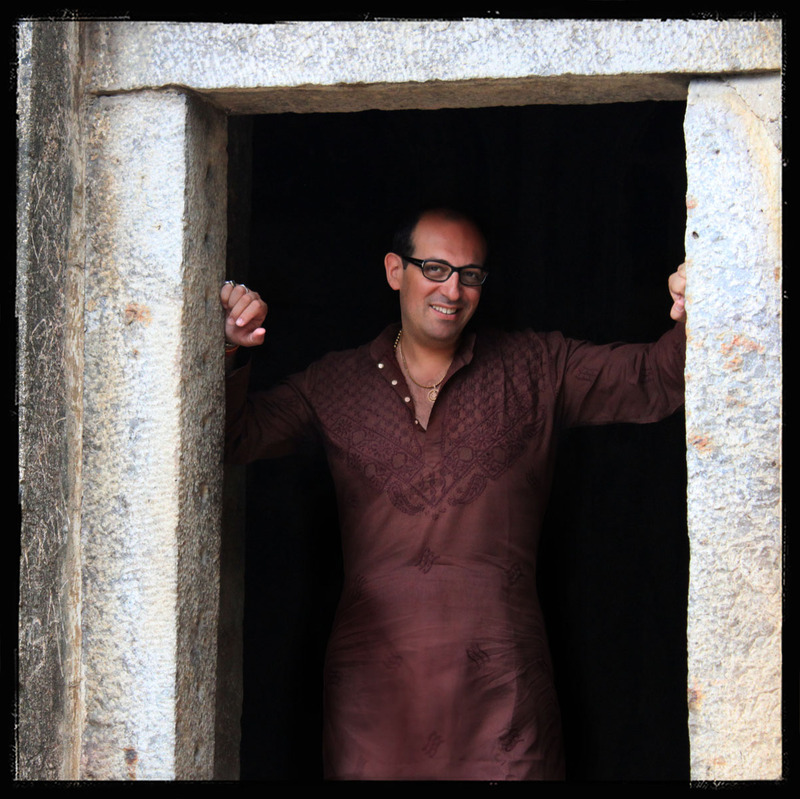 This picture was shot recently by my brother Manish Gupta in the ruins of a Madrasa from the fourteenth century which stands at Hauz Khas village in South Delhi. Thank you so much for passing by so often. Today your are 200 223 Flickr viewers, 71 057 WordPress viewers, 61 770 Ipernity viewers and many form Facebook to have been visiting my photostreams. Your precious comments and your kind support are my energy to carry on this work. 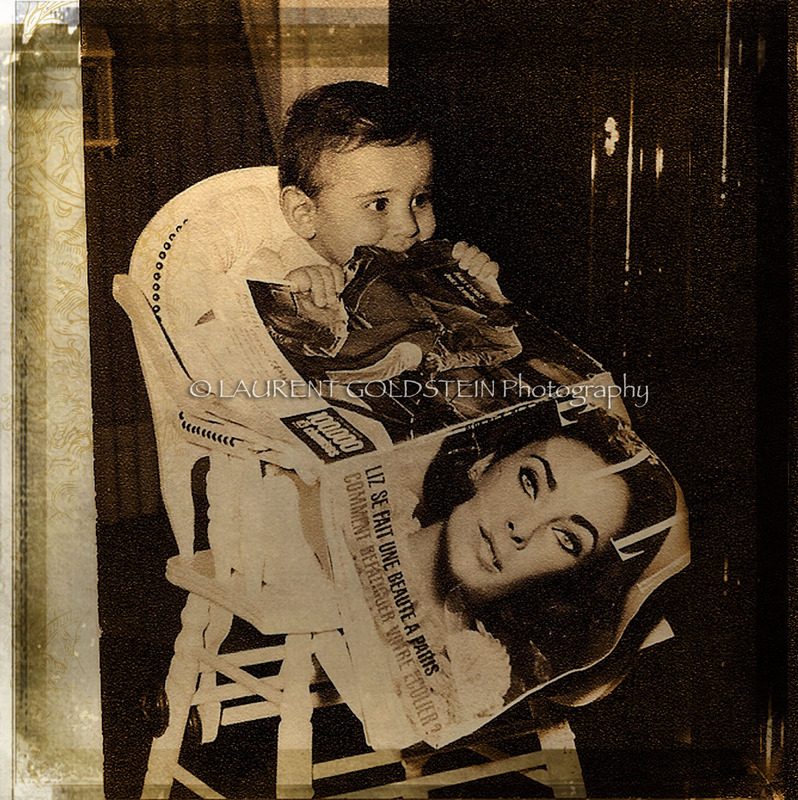 I am not the photographer of this picture, it was shot a few decades ago, I was a kid then biting a “Elle” cover magazine with Liz Taylor on it. All this is about celebrity bites but for me YOU are the celebrities right now…!!! Thank you for your words and for reading mine. This week I had 10 000 more viewers on my photostream and I always celebrate this with a picture of me. I hate to do my self-portrait, it is becoming more and more difficult and I can’t really explain why. So it was easier to open my photo album and to pick any picture there. However this was not shot on the set of Dr No, I was not born at that time (! ), but in the begining of the 80’s. Thank YOU all, you have been 171,918 Flickr viewers, 54 666 Ipernity viewers and 43 394 visitors on my Worpress photo-blog. I really appreciate your support, kind comments and mails. I had 10 000 more viewers who visited my photostream and the tradition is to celebrate this uploading a picture with me. This picture was shot a few weeks ago in front of the Golden Temple in Amritsar, the holiest city in Sikhism, located in the state of Punjab (India). I met those kids a while before as they were bathing in the holy tank, they didn’t mind that I took a few portraits of them. Later I realized that they were following me around the temple, we took a few shots of all of us, like this candid picture and they kept on asking me so many things about photography, sometimes I couldn’t even find any answer, it was amazing to see how full of enthusiasm they were. One more thing, after uploading another picture at Golden Temple, I had funny comments concerning the scarf I was wearing. In order to clarify, I don’t try to become a pirate (!) but being head covered is compulsory for both men and women when visiting a Gurdwara or any other holy Sikh place, it is a sign of respect (like in many other religions). You also have to remove your shoes if you enter a place of worship. Thank you again to all of you for your supportive comments and mails. Thx to my 150 000 viewers…!!! Once again I want to thank you all for your kind comments and mails as 10 000 more viewers saw my photostream. This morning you are 150 320 Flickr viewers, 49 460 Ipernity viewers and 25 522 visitors at my Worpress photo-blog. The tradition is to celebrate this uploading a picture with me. This one was shot by Manish Gupta, mere bhai, in front of a Tibetan temple located in Leh, the capital of Ladakh in the Himalayan hills. I was showing to this Buddhist nun and to the other lady who came to meet her son that she didn’t see since a long time, a few pictures that I took of them. It was a happy moment, we shared many things and we almost forgot how cold it was. This evening you are 140 012 Flickr viewers and 47 052 Ipernity viewers, I also had 18 780 visitors on my photo-blog on Worpress. The tradition of having 10 000 more viewers here allows me to upload a picture of me. This one was shot a few days ago at Hemis Gompa which is a Buddhist monastery in the Himalayan hills of Ladakh. Thank you again to all of you for your kind comments and mails. I really appreciate your support even if I can’t answer you as much as I would like because of the very bad internet connection here in Benaras and the many power cuts that we have to go through during summers. Namaste all the way from Benaras where monsoon has reached tonight..